On the night Leo Stone returns—notionally from the dead, in reality from the Democratic Republic of the Congo—Cass Tuplin gets a call from Gary Kellett. A call about an actual dead person: Gary’s daughter, killed in a car crash. Gary’s adamant it wasn’t an accident. Cass agrees to investigate. After all, not just Rusty Bore’s only purveyor of fine fast food, Cass is also the closest thing to a private detective within a couple of hundred k’s. The local police (Cass’s son Dean) try to warn her off. It’s true Cass’s status as a celebrated yet non-licensed nobody doesn’t entirely suit Dean. But Dean also believes Gary’s a delusional, grieving father. Is that the case? Or did a young journalist die after asking too many questions? Cass intends to find out. As soon as she’s dealt with some queries raised by the reappearance of Leo Stone. Sue Williams is a science writer and chartered accountant who also holds a PhD in marine biology. She lives in Melbourne with her husband. Her first Cass Tuplin mystery, Murder with the Lot, also published by Text, was shortlisted in the Ned Kelly Awards. 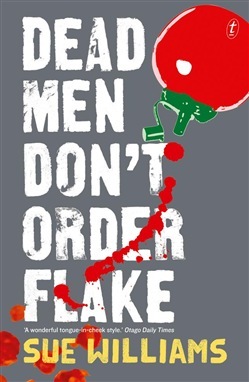 ‘There’s a wry, satirical element to much of Williams’ humour…In the grand tradition of cosies, [Cass is] a woman underestimated at your peril…Fun and often charming crime fiction, thanks to its winning super-sleuth heroine.’ Saturday Paper ‘Williams captures small town Victoria with ease and her plot has enough twists and red herrings to keep it interesting. Fans of Murder With The Lot will not be disappointed, and no doubt will be hoping for more of Cass Tuplin. An excellent sequel!’ BookMooch ‘Once again, Williams has created a small-town mystery with big repercussions with the wacky, loveable characters who fill Rusty Bore making a comeback in this novel.’ Weekly Times ‘An enormously enjoyable and pacy novel set in a speck of a country town in rural Victoria, with a plucky amateur sleuth amid a quirky ensemble of townsfolk and family. 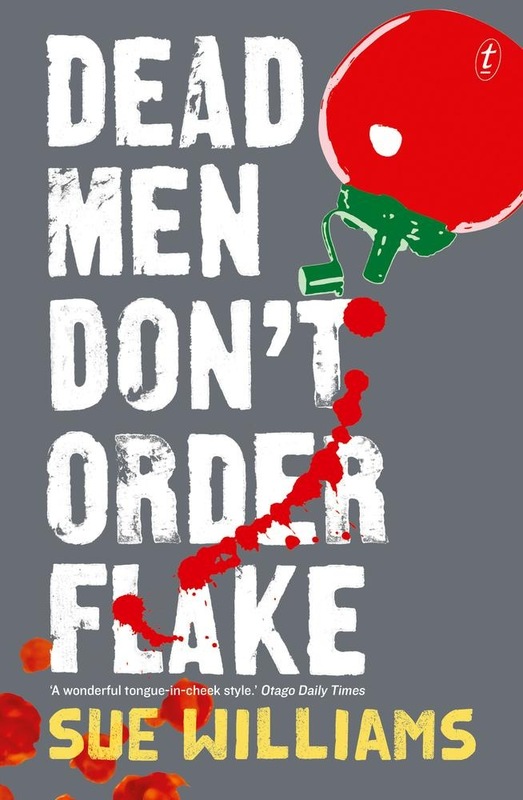 Acquista Dead Men Don't Order Flake in Epub: dopo aver letto l’ebook Dead Men Don't Order Flake di Sue Williams ti invitiamo a lasciarci una Recensione qui sotto: sarà utile agli utenti che non abbiano ancora letto questo libro e che vogliano avere delle opinioni altrui. L’opinione su di un libro è molto soggettiva e per questo leggere eventuali recensioni negative non ci dovrà frenare dall’acquisto, anzi dovrà spingerci ad acquistare il libro in fretta per poter dire la nostra ed eventualmente smentire quanto commentato da altri, contribuendo ad arricchire più possibile i commenti e dare sempre più spunti di confronto al pubblico online.